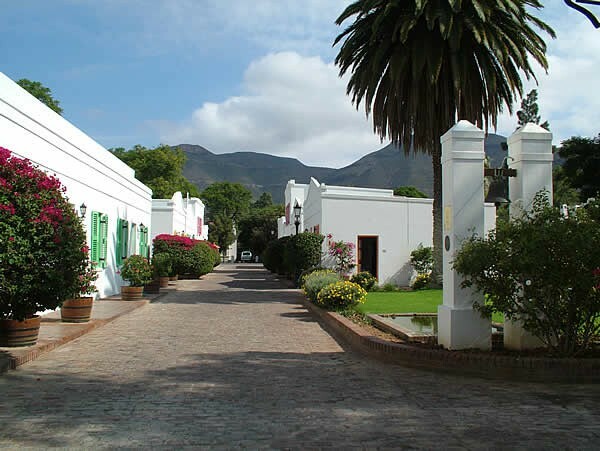 Graaff-Reinet is the oldest town in the Eastern Cape and the fourth oldest in South Africa. During the seventeenth and eighteenth centuries Dutch Burghers began to leave the Cape area. These Burghers became known as Trek Boers and were noted for their hardy, independent characters, disdain for authority and dislike of taxes. To keep some control over their subjects, the authorities established in 1786 an administrative centre (Drostdy) in a picturesque setting where the Sundays River flows from the Sneeuberg Mountains. This they named after the Governor and his wife Reinet. In the 1830s there was a mass movement of Boers away from the Colony to the North where they hoped to establish republics where they would be independent. This was the Great Trek which had huge ramifications on the history of South Africa. The majority of those on the Trek came from the Eastern Cape. One of the Graaff-Reinet trekkers, Andries Pretorius commanded the Boers at the Battle of Blood River and later became the first president of the South African Republic. Pretoria, was named after him. 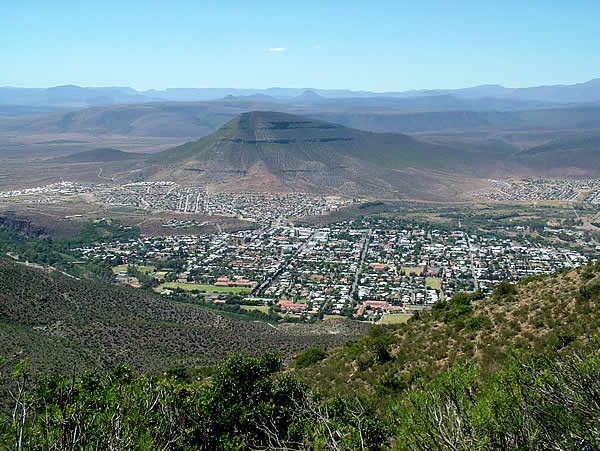 Graaff-Reinet is the center of Camdeboo Municipality and is built in a “horseshoe” where the Sundays River loops and almost encircles the town. 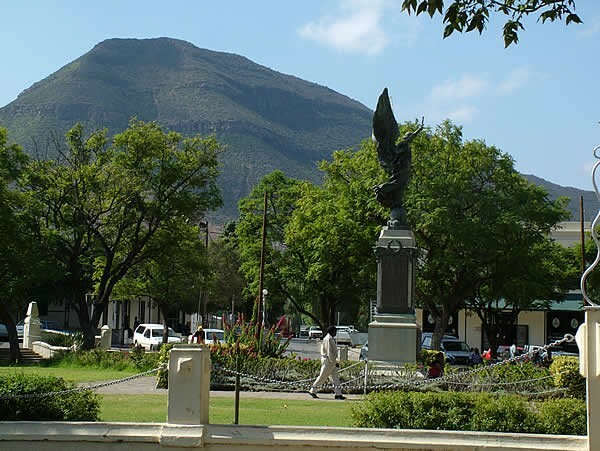 Graaff-Reinet has one of the most attractive settings of any town in South Africa, mountains on three sides and the flat plains of the Camdeboo to the south. Few towns have conserved their townscape as well as Graaff-Reinet. The town has more protected buildings than any other in South Africa. 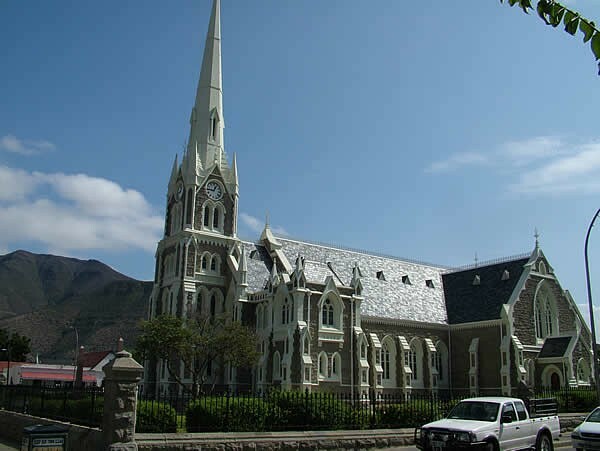 The most prominent of these is the Dutch Reformed Church which is a Victorian gothic gem. 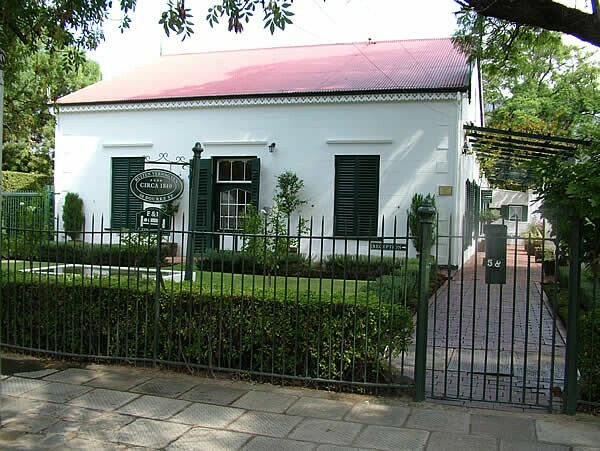 Other notable structures are the Old Drostdy, now the Drostdy Hotel, as well as several splendid examples of Cape Dutch, such as Reinet House, Urquhart House and the old Residency, now part of the Graaff-Reinet Museum. Since the days of the “Graaff-Reinet Republic” the town has always been in the forefront of historical processes in South Africa. During the guerilla phase of the Anglo Boer War, raiders from the Transvaal and Free State operated widely in the rugged terrain of the area, supported by much of the Afrikaans populace. Many, although subjects of the Queen, took up arms and joined the Boers. They were known as “Cape Rebels”. A large garrison was stationed in Graaff-Reinet to try and quell the situation. Their barracks still exist, now known as the “Royal Walk”. 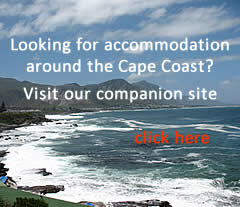 Many of the Cape Rebels were taken prisoner and charged with high treason. A number were shot by firing squad, the most controversial being Gideon Scheepers, a Boer commander, who was executed outside the town near Van Rynevelds Pass. When Van Rynevelds Dam was built his grave was covered by the resultant lake. Robert Sobukwe one of South Africa’s most famous anti apartheid activists hailed from Graaff-Reinet. Best known for founding the Pan African Congress he was imprisoned on Robben Island. Dr Sobukwe is buried in Graaff-Reinet. 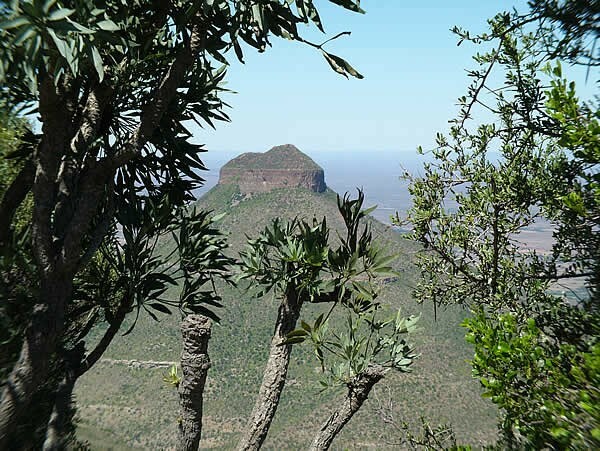 Graaff-Reinet is almost surrounded by the Camdeboo National Park. 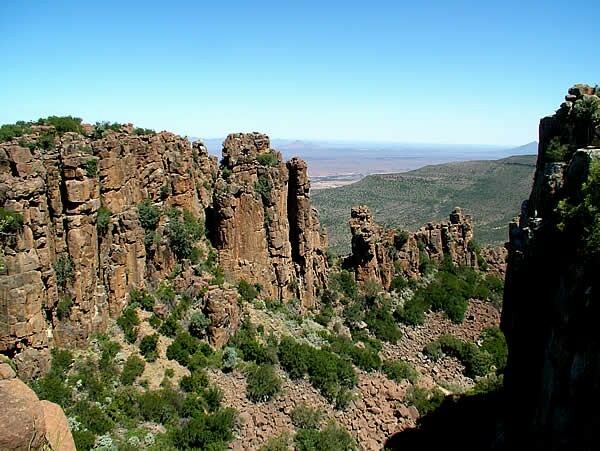 In this park is found one the well-known Valley of Desolation, a dramatic cleft in the ironstone rocks. 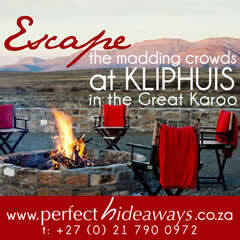 There are many private game reserves and hunting lodges in the district. The town is also the centre of a sheep farming area well-known for the quality of its wool and its mutton. Karoo Lamb is the finest in the world. Many farms in the area offer farm stays and numerous activities such as hiking, horse riding, quad bikes, hunting, bird viewing and many more.